There’s a lot of articles about growing your userbase, but how about protecting your hard earned metrics? There are many events that can affect your growth numbers, such as accidental product changes, external service outages, Google search algorithm changes, and more. 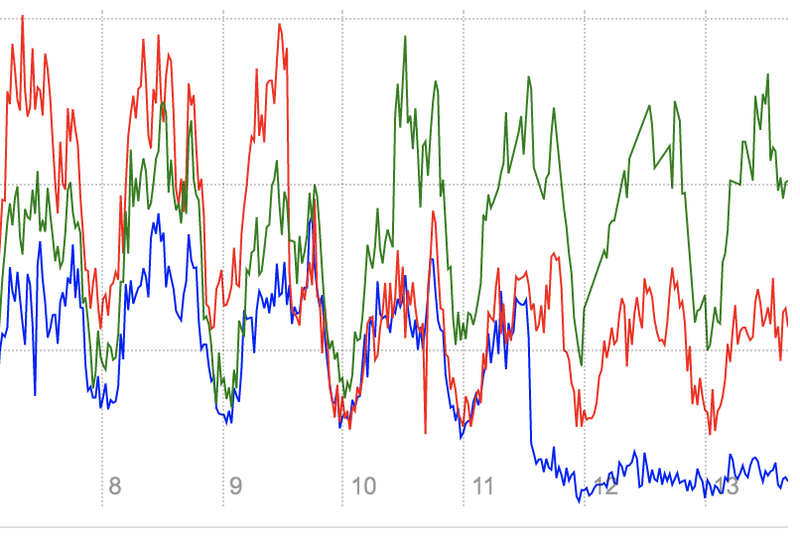 Growth monitoring is very important because it is just as easy to lose metrics as to gain them. In the early stages of a company, most of these events aren’t even noticed, but as you grow, you’ll want to understand all significant metrics changes in order to mitigate negative ones and take advantage of positive ones. Growth monitoring is tough because it’s not just a technical problem. Not only do you have to have to right tools, but your team also has to have the right education and processes for handling metrics anomalies. This blog post will talk about a holistic approach to building an awesome growth monitoring system. When incidents happen, we have lots of tools to detect and resolve as quickly as possible. However, building a robust framework wasn’t easy and takes a long time. This diagram outlines the three stages that a growth team’s monitoring system is usually in. To get from stage 1 to stage 2, it’s all about building the right tools, which we’ll talk about first. To get from stage 2 to stage 3, you need to learn the attributes of different types of metrics impacting events, set up a playbook and process for handling them, and educate the team to execute on the plan. As you can tell, something happened on day 11 that caused metrics to drop significantly. We can pinpoint the time to narrow down the cause. Having different segmentations also helps us pinpoint root causes. For example, we have different signup graphs for each page type and signup type, so we know exactly which pages and signup flows are affected. Low false positives: False positives are dangerous because if it happens too often, people stop paying attention to the alerts as much. This is especially difficult in growth because of daily/weekly swings and seasonality. Good segmentation: A lot of the time when incidents happen, they usually only affect certain segments, for example a certain page breaks or a certain referrer changes their traffic. A 100% loss in traffic to a referrer that makes up 5% of your total traffic will only show up as a “small” 5% in an overall traffic graph, which probably might not trigger an alert. Your first question might be, why is the ratio so low? Why not detect a 5% drop? Usually, the thresholds have to be fairly loose in order to reduce false positives. Keep in mind that you will have many alerts and that there are many internal and external events that affect each metric, and you want to prioritize the bigger deviations. Your next question might be, why look at the min of the two weeks? This is in order to prevent false positives after seasonal changes such as holidays. You might receive a large influx one week, and probably don’t want all your alerts to go off the next week. However, good alerts take a lot of iterations of tweaking, so just make sure to quickly tweak alerts that keep sending false positives. Once you have a good set of graphs and alerts, you’re in stage 2! Now that you have a good set of tools, it’s time to learn how to use them effectively. You’ll probably find that in the beginning, some metrics change, but you don’t know why. It’s really important to spend the time to root cause because any learnings could be applied to the future, and eventually “debugging” metrics drops will happen much faster as you detect patterns. For example, we learned that when non attributed app installs drop, it’s commonly an App Store / Google Play store outage, so we look there first. Here is another example thought process that happens when something like home page signups drop. Eventually, you’ll learn the right steps to take to debug each kind of metrics change, so the next challenge is to scale the knowledge through the whole team. On my team at Pinterest, we have a weekly metrics rotation, similar to an engineering on call, where one person is responsible for responding to the growth alerts. If they’re new, we may pair them with someone so that they can learn how the process is done. This way, everybody gets valuable practice knowledge around debugging metrics drops. Similar to engineering teams that own core services, it’s important to spread the knowledge and responsibility to prevent a single point of failure. When an alert goes off, the usual process is they report that they are investigating it in our metrics channel. That way, if someone knows about a recent change that could have caused it, they could chime in. Digging more into the metrics, checking the experience, and running git bisects are common next steps. When the issue is diagnosed, usually a rollback or hotfix is done. Due to the changing nature of the internet ecosystem, we’ve found that documentation gets outdated quickly so it’s important to train individual debugging skills through continuous learning and practice. Companies take their service uptime seriously, and growth metrics need to be taken as seriously. If a metrics drop is not detected, it could accumulate losses bigger than some wins. It takes a long time to build a good monitoring system due to all the components that need to built and debugging knowledge that needs to grow, but it is well worth the investment. Make sure to take steps to improve your monitoring system to make sure you are maximizing your growth!